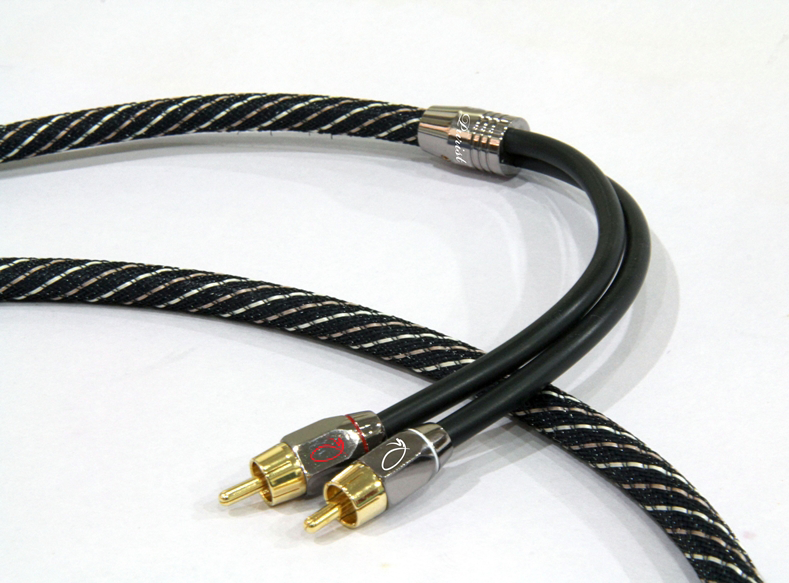 The Parallel Symmetric Silver plated Interconnect Cables from Purist Audio for serious Audiophile Edition represent lastest cable technology, which provides excellent High Speed Signal Transmission. Innovated Self-Coverd Shielded Balanced Twin Conductors cable comes with extra protection double shielding of 100% Mylar bonded foil and 100% oxygen free tinned copper braid to keep out interference caused by myriad errant signals that bombard our environment. The ultra durable Purist Audio P-Pro cable offers precision manufacturing and sonic performance designed to optimized the world most sophisticated car audio, home audio and home theatre components. Connection to your component is made with our unique designed plugs, which you may see from the outside to the inside. The Gold over Rhodium plated, split tip center and eight diagonal cut ground sleeve enable the connector to provide maximum contact. The Purist Audio P-Pro interconnect cable is the ultimate choice the cable for critical audiophile.